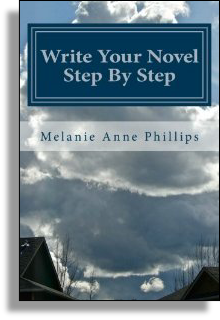 In the previous step you determined how and when you are going to introduce your characters to your readers in act one. In this step, you are going to work out how to reveal each character’s structural role (such as protagonist or the Trickster Archetype). You have already determined in the Exposition section the manner in which the structural (or archetypal) roles of your characters are revealed. Now all you need to do is figure out how this actually unfolds relative to your characters’ introduction as people in act one. You may wish to reveal the structural role at the same time you introduce the character's personality as determined in the previous step. Or, you may reveal the structural role before introducing the personality of the character. Certainly, you don't have to follow the same pattern for every character. In fact, mixing it up a bit can add a degree of interest to this necessary process. Again, the real question is who goes first? If you previously decided to introduce several characters' roles at once, perhaps in an argument or a professional meeting, when does this occur in relation to the introduction of their personalities in the previous step? You may choose to have some characters already established by personality, then introduce their structural roles and the roles of others in the argument. Later, the personalities would be revealed for the characters who were first introduced by role alone in the argument. As you can see, although we have separated the introductions of the characters, structural roles, structural relationships, situational relationships, and emotional relationships, several of them may actually occur at the same time. 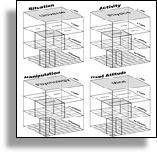 In this step, then, briefly describe the manner in which you will introduce each character's structural role (such as protagonist or antagonist) relative to their introductions as personalities in act one.